One thing we would all like to avoid is the loss or damage of our property. Imagining something bad happening to things that we value and have worked so hard to obtain is not something anyone wants to dwell on. The facts are, things are going to happen beyond our control. One thing you can do is be proactive and prepared in case those times creep up on you. The last thing you want to deal with is the headaches of dealing with a complicated insurance form. Here to turn the claim process from painful to painless is EasyClaim. 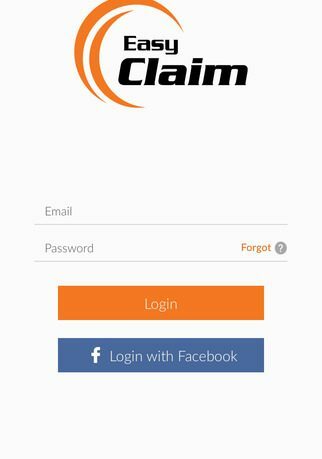 EasyClaim is a revolutionary new tool optimized for homeowners, insurance claims adjusters, and restoration contractors. The application makes compiling total loss valuations easier and more accessible than ever. We believe personal property is priceless and should be treated with care. Trust EasyClaim as a high tech solution for compiling your non-salvageable reports. EasyClaim begins by signing up for an account. Users can create an account through the app or use Facebook to login. Once signed in, the app then opens up directly into the report area. Click on the plus sign in the bottom right corner to begin a new report, or select a report already started to edit. 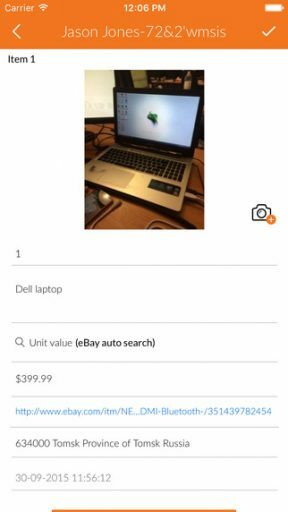 Here you can add your information, name and address along with description and pictures of items involved in the claim. To speed up the process, location access will import your address information and the built-in eBay Auto Search will allow you to search the value of your items without ever leaving the app. The process in EasyClaim is straightforward and gives you the essential information needed for filing a report of this type. The added features such as adding multiple users to manage reports and the eBay Auto Search make the process that much easier. The reports are always editable if you need to make any adjustments and they can be emailed straight to your insurance company from the app as well as uploaded and saved to Google Drive or DropBox. It can’t get much easier than that. The EasyClaim Total Loss Software app is a great tool for anyone needing assistance creating inventories and loss reports for their property. It’s provides the convenience of access with mobile availability while requiring less paper. 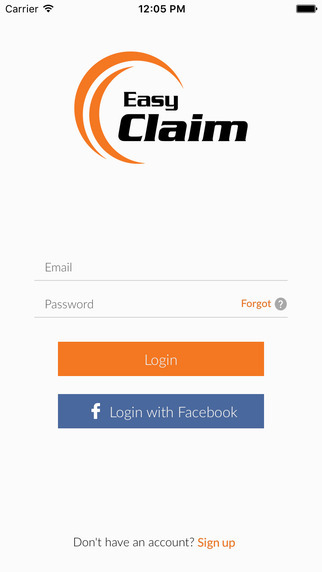 EasyClaim is a universal app and available now in the App Store for free for a limited time.